Congressman Guest’s Academy Day 2019 at Madison Central High School was a great success. 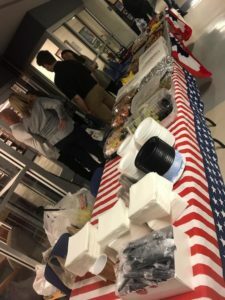 Thanks to the combined efforts of the Naval Academy and West Point Military Academy parents clubs we were able to supply snacks to all our candidates, students and their families. 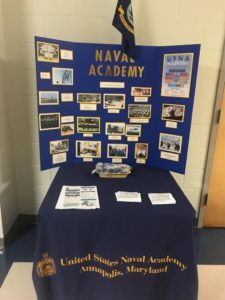 Thank you to all the parents who donated snack items and special thanks to Michelle Smothers (mother of Midshipman Fridge ’20) for the wonderful Navy parents presentation table. Good luck to all the Class of 2023 Candidates! To help our Midshipmen beat the Dark Ages (really cold, dreary northern weather) the USNA MS Parents’ Club mailed out care packages to our Mississippi Midshipmen and NAPS Appointees this week. 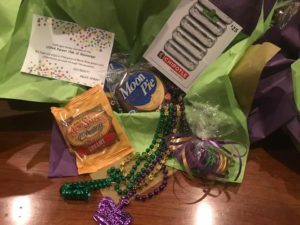 They each received a $25.00 gift card to Chipotle Mexican Grill, pralines, moon pies, chocolate coins, and Mardi Gras beads. We hope our southern Midshipmen are staying warm in the northeast with the crazy polar vortex that has us all in its grip right now. Thank you to the parents who join the club you make it possible to send care packages to all our Mids. Just five more weeks until SPRING BREAK for our Midshipmen. We hope they all enjoyed a bit of Mardi Gras! The Mississippi Parents Club hosted our first “Don’t Give Up The Ship” gathering hosted by the Garbo family (class of 2019) on Sunday. It was a wonderful afternoon getting to know each other better and share our journey as Mid parents. We look forward to seeing everyone December 28, 2018 at the annual Christmas Dinner. Go Navy! 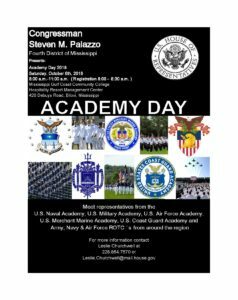 Congressman Trent Kelly will sponsor his annual Military Academy Day on Saturday October 13, 2018 in Oxford, MS at Ole Miss, Jackson Center on campus. Click the flyer below for more information. 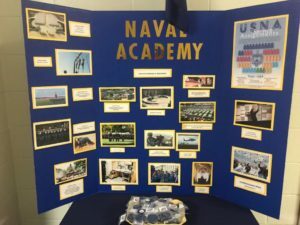 The 26th Annual Naval Academy Parent Club Officer Conference will be held at the Naval Academy in Annapolis in September of 2018. For details such as registration and agenda, please visit the USNA Parents Club website: 2018 PCOC. 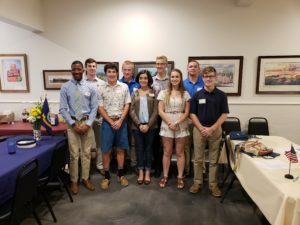 The meeting of the local USNA Parents’ Club of Mississippi was held on June 9, 2018. The annual Hail & Farewell Luncheon was held at Mama Hamil’s, 751 US-51, Madison, MS 39110. 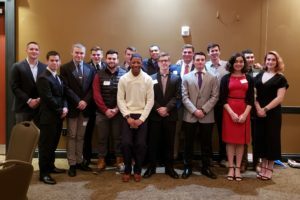 We had a wonderful time meeting the class of 2022 and our NAPS/Foundation Appointees. There were 46 of us in attendance; we are a small but mighty bunch of proud Mississippi families. We will have our next meeting in December date and time to be announced so stay tuned. We look forward to seeing everyone in December! Welcome to USNA Parents Site for Mississippi families. We are excited to have our parents’ club website up and running. The parents’ club is here to assist and support our Navy families.